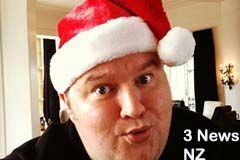 U.S. Settles TV Shack Extradition Case, Is Kim Dotcom Next? Good news for 23 year old Richard O'Dwyer, who is charged with copyright infringement in the U.S. and had been ordered extradited from the UK to face charges. D.O.J. has offered him a "deferred prosecution" agreement, under which he agrees to come to the U.S. voluntarily to enter the agreement and pay a fine, and promises not to violate U.S. copyright laws in the future. He will then return home to the U.K. When the UK court receives the agreement, it will dismiss the extradition proceedings. Assuming he complies, eventually, the charges will be dropped with no plea of guilty required. Is this how Kim Dotcom's case will end? U.K. Home Secretary Teresa May has approved the extradition of 23 year old British student Richard O'Dwyer to the U.S for criminal copyright infringement. O'Dwyer has never set foot in the U.S., never run a server in the U.S., and didn't host copyrighted material on his website, TV Shack.net. What he did: He ran a website from his basement which included links to sites that had pirated material and his site generated advertising revenue. 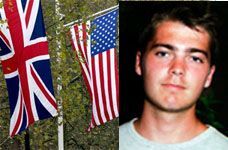 While the validity of the charges in the Megaupload indictment will take years to work its way through the courts, and many will have little sympathy because of the amounts of money the defendants earned, consider the case of British student Richard O'Dwyer.